today, when the workers of all countries are honouring the memory of the heroic rise and tragic end of the Paris Commune we have to inter the remains of Yakov Mikhailovich Sverdlov. In the course of our revolution, and in its victories, Comrade Sverdlov succeeded in expressing more fully and integrally than anybody else the chief and most important features of the proletarian revolution, and this, even more than his boundless devotion to the cause of the revolution, made him significant as a leader of the proletarian revolution. Comrades, people who judge by what they see on the surface, the numerous enemies of our revolution, and those who to this day vacillate between the revolution and its opponents, consider the most striking feature of our revolution to be the determined and relentlessly firm way it has dealt with the exploiters and the enemies of the working people. There is no doubt that without this, without revolutionary violence, the proletariat could not have triumphed. Nor can there be any doubt that revolutionary violence was a necessary and legitimate weapon of the revolution only at definite stages of its development, only under definite and special conditions, and that a far more profound and permanent feature of this revolution and condition of its victory was, and remains, the organisation of the proletarian masses, the organisation of the working people. And it is this organisation of millions of working people that constitutes the best stimulant for the revolution, its deepest source of victory. And it is this feature of the proletarian revolution which, in the course of the struggle, brought to the fore those leaders who best expressed that specific feature of our revolution that was never seen in revolutions before, namely, the organisation of the masses. This feature of the proletarian revolution also brought to the fore Yakov Sverdlov, a man who was first and foremost an organiser. Comrades, we Russian revolutionaries, particularly in the stern days of the prolonged, sometimes painful and excessively long period of preparation for the revolution, suffered because of the gulf between theory, principle and programme and our practical work. We suffered most of all from a too deep engrossment in theory divorced from direct action. The history of the Russian revolutionary movement over a period of many decades contains a list of martyrs who were devoted to the revolutionary cause, but who had no opportunity to put their revolutionary ideals into practice. In this respect, the proletarian revolution, for the first time, provided these formerly isolated heroes of the revolutionary struggle with real ground, a real basis, a real environment, a real audience, and a real proletarian army in which they could display their talents. And in this respect, the most outstanding leaders are those who, as practical, efficient organisers, have succeeded in winning for themselves an exceptionally prominent place such as Yakov Sverdlov won for himself and rightly occupied. If we survey the life of this leader of the proletarian revolution we see that his wonderful organising talents developed in the course of long struggle. We see that this leader of the proletarian revolution himself cultivated every one of his wonderful gifts as a great revolutionary who had passed through and experienced different epochs in the severest conditions of revolutionary activity. He dedicated himself entirely to the revolution in the very first period of his activities, when still a youth who had barely acquired political consciousness. In that period, at the very beginning of the twentieth century, Comrade Sverdlov stood before us as the most perfect type of professional revolutionary, a man who had entirely given up his family and all the comforts and habits of the old bourgeois society, a man who devoted himself heart and soul to the revolution, and who for many years, even decades, passing from prison to exile and from exile to prison, cultivated those characteristics which steeled revolutionaries for many, many years. However, this professional revolutionary never, not even for a moment, lost contact with the masses. Although the conditions of tsarism condemned him, like all the revolutionaries of those days, mainly to underground, illegal activities, even then, even in those underground and illegal activities, Sverdlov always marched shoulder to shoulder and hand in hand with the advanced workers who, at the beginning of the twentieth century, began to take the place of the earlier generation of revolutionary intellectuals. It was at this time that scores and hundreds of advanced workers took up activities and acquired that steel-like hardness in the revolutionary struggle which, together with the closest contact with the masses, made it possible to bring about a successful proletarian revolution in Russia. 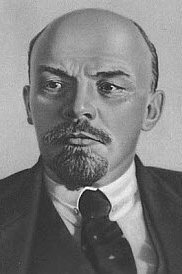 It is precisely this long period of illegal activity that most of all characterises the man who was constantly in the fight, who never lost contact with the masses, who never left Russia, who always worked in conjunction with the best of the workers, and who, in spite of the isolation from general life to which persecution condemned the revolutionary, succeeded in becoming not only a beloved leader of the workers, not only a leader who was most familiar with practical work, but also an organiser of the advanced proletarians. Some people were of the opinion—and this applies mostly to our opponents, or to the waverers—that this complete absorption in illegal activities, this specific feature of the professional revolutionary, cut him off from the masses. But the revolutionary activities of Yakov Sverdlov prove to us how utterly mistaken this opinion was, that, on the contrary, this boundless devotion to the revolutionary cause, which is typical of the lives of people who had seen the inside of many prisons and had been in exile in the remotest regions of Siberia, produced such leaders, the flower of our proletariat. And when this was combined with a knowledge of men and organisational ability, it produced great organisers. The illegal circles, revolutionary underground work, the illegal Party, which nobody personified or expressed so integrally as Yakov Sverdlov—this was the practical school through which he passed, and the only school that could have enabled him to reach the position of the first man in the first socialist Soviet Republic, the position of the first organiser of the broad proletarian masses. Comrades, all those who, like myself, have had occasion to work with Comrade Sverdlov day after day, had it vividly brought home to them that it was the exceptional organising talent of this man which gave us that which we have been so proud of, so justly proud of, up to now. He made it possible for us to carry on concerted, efficient, really organised activities, activities worthy of the organised proletarian masses, and answering to the requirements of the proletarian revolution—those concerted, organised activities without which we could not have achieved a single success, without which we could not have overcome any one of the innumerable difficulties which we have had to face, and without which we would not have been able to stand up to any one of the severe trials we experienced in the past, and are experiencing at the present time. In that seething struggle that is revolution, at that special post which every revolutionary occupies, at a time when the work of even a small body of men takes the form of deliberations, of enormous importance is high moral prestige won in the course of the struggle, unquestionable and unchallenged prestige, the roots of which lie, of course not in abstract morals, but in the morals of the revolutionary fighter, the morals of the rank and file of the revolutionary masses. The fact that for over a year we have been able to bear the incredible burdens that have fallen to the lot of a narrow circle of devoted revolutionaries, the fact that the leading groups could so firmly, quickly, and unanimously decide the most difficult problems, is due entirely to the prominent place among them occupied by such an exceptionally talented organiser as Yakov Sverdlov. He alone managed to acquire an amazing knowledge of the leading men of the proletarian movement, he alone, in the course of the long years of struggle—to which I can refer here only very briefly—succeeded in acquiring the wonderful intuition of the practical worker, the wonderful talent of an organiser, an absolutely unchallenged prestige, thanks to which he was able to take sole charge of some of the largest branches of the work of the All-Russia Central Executive Committee which only a group of ordinary people could cope with. He alone succeeded in winning for himself such a position that on a large number of extremely big and important practical questions of organisation, his mere word was sufficient to secure an unchallenged and final settlement, without conferences, without a formal vote; and everybody felt convinced that the questions had been settled on the basis of such profound practical knowledge and organising intuition that not only hundreds and thousands of advanced workers, but also the masses would accept that settlement as final. History long ago proved that in the course of the struggle great revolutions bring great men to the forefront and develop talents that had previously seemed impossible. Nobody would have believed that the school of the illegal study circle and underground activities, the school of the small, persecuted Party, the school of Turukhansk prison could produce this organiser who won absolutely unchallenged prestige, the organiser of Soviet power throughout Russia, the man, unique in his knowledge, who organised the work of the Party which created the Soviets and established the Soviet government which is now making its arduous, painful, bloody but triumphant advance to all nations, to all countries throughout the world. We shall never be able to replace this man who had cultivated such an exceptional organising talent, if by replacement we mean finding one man, one comrade, with all these qualities. Nobody who has been close to Yakov Sverdlov and has watched him constantly at work can have any doubt that in this respect he is irreplaceable. The work he performed as an organiser, in choosing men and appointing them to responsible posts in all the various departments, will be performed in future only if we appoint whole groups of men to handle the different major departments that he had sole charge of, and if these men, following in his footsteps, come near to doing what this one man did alone. 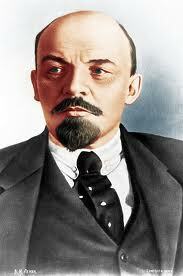 But the proletarian revolution is strong precisely because its roots run deep. We know that it promotes new men to take the place of those who devotedly sacrificed their lives in the struggle, they are perhaps less experienced, possess less knowledge, and are at first less trained, but they are men who have broad contacts with the masses and who are capable of promoting from their ranks groups of men to take the place of the departed geniuses, to continue their cause, to continue along the road they pursued and to complete what they had begun. 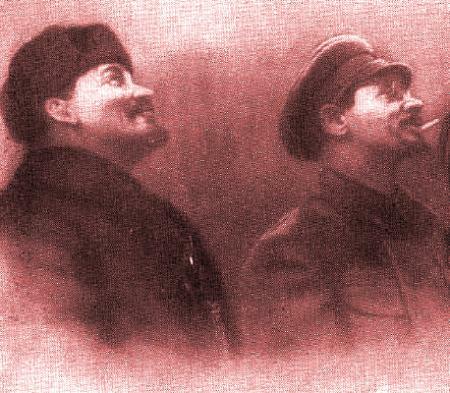 In this respect we are fully convinced that the proletarian revolution in Russia and all over the world will promote group after group of men, numerous sections of the proletariat and of the working peasantry, which will possess that practical knowledge of life, that organising talent, collective if not individual, without which the million-strong army of the proletariat cannot achieve victory. The memory of Comrade Yakov Sverdlov will serve not only as a permanent symbol of the revolutionary’s devotion to his cause and as the model of how to combine a practical sober mind, practical skill, close contact with the masses and ability to guide them; it is also a pledge that ever-growing numbers of proletarians, guided by these examples, will march forward to the complete victory of the world communist revolution. We have lowered into the grave the remains of a proletarian leader who did more than anybody to organise the working class and to ensure victory. Now that Soviet power is spreading throughout the world and the knowledge is rapidly gaining ground of how the proletariat, organised in Soviets, is struggling to put its ideas into effect, we are burying a representative of the proletariat who set an example of how to fight for these ideas.